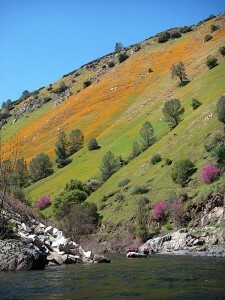 The Merced River needs your help. If you’ve rafted the Merced–and there are thousands of you, we know because we tightened your life jacket and reminded you to put on sunscreen–it’s time to pay it forward a little. Here’s the situation. 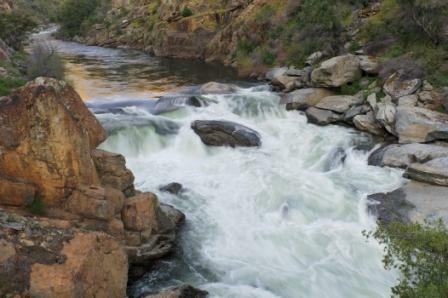 One of California’s State Senators–Tom McClintock for those of you who like to keep track–has proposed removing the Merced’s federally-protected status as a “Wild and Scenic” river. Why? Does he think the Merced is instead “tame and ugly?” Possibly, but the real point is that if the Merced River loses its protected status it would allow the government to raise the level of the McClure Reservoir, drowning part of the Merced. And this, friends, would be sad. But even sadder is the precident it would set. Think about it–any river that is currently protected would basically be up for grabs. What’s the point of protecting a public resource in the first place if anytime that protection becomes inconvenient for someone it can be taken away? What’s next–a dam upstream that floods Yosemite? So take a wee minute and write to your Senators US Representative and ask each of them to vote a resounding NO on HR 934!!! If you want to learn more–and of course you do, I may be slick but why would you take my word as gospel–a good place to start is Friends of the River, which can give you lots of background on the Merced River and which also offers an easy-as-pie form you can fill out to take action lickety-split!